I have never heard of Spit Up and Stilettos until Chuichoy of Wear the Ducky Tie posted free pattern links on her blog that included some from their site. Weird how none of their patterns ever came up in my searches considering the amount of time I spend scouring the net for sewing freebies. Imagine my silent scream of joy when I realized they have fifteen free sewing patterns available! Fifteen! Bless Lauren, the brain behind Spit Up and Stilettos for being generous and thank you, Chuichoy, for leading the way. The Isabella tank, which I thought of sewing first, would have to wait. I decided on sewing the Alyson skirt instead because of the available fabric I had, a leftover from the Laurel I sewed for a friend. That plus I just can’t resist cute summer skirts. The pattern is easy to follow with pictures to guide you if ever you get muddled with the written instructions. I had no problem following them except for the zipper part. 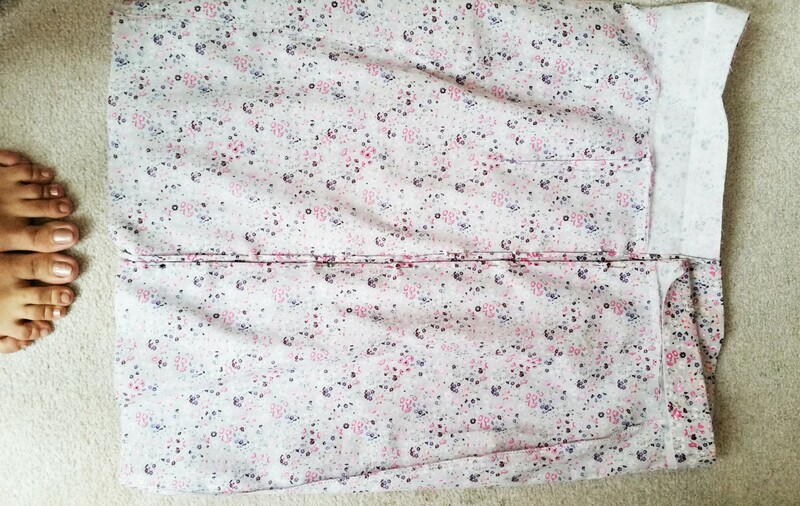 I prefer to finish the seams before attaching zippers so I skipped the instruction and just did as I pleased. I realized a few months back that my favorite method in finishing back seams before attaching a zipper is the good old turn and stitch. I was well aware that by doing it this way I was already taking the 3/8 allowance, but it was not a problem in the end. Size XS still fits perfectly for me. I also skipped the belt and belt loops part. Maybe I just got lazy after I found a ribbon in my stash that goes well with the skirt and found no need for the loops. I think next time I’ll follow the design through and through. No excuses this time. The verdict? I love this skirt! I love how you can dress up or dress down with it depending on your top and of course, shoes. I’ll definitely make another one anytime soon. 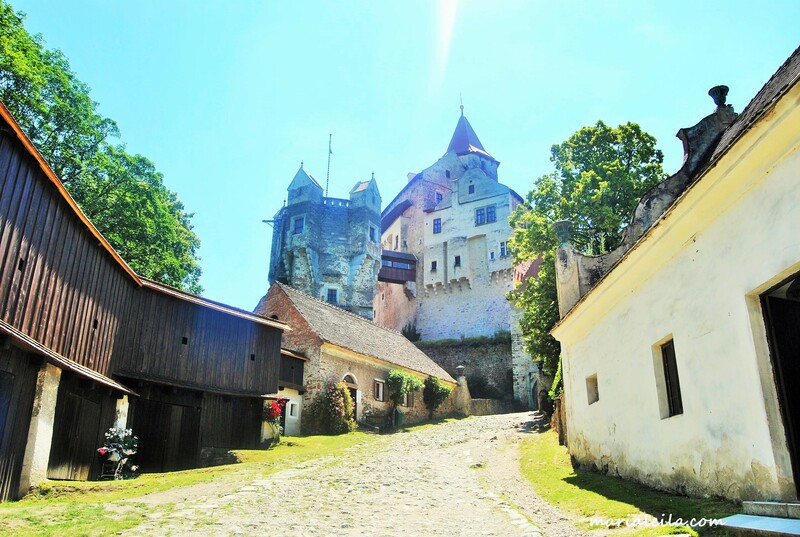 Pernštejn Castle is located less than half an hour drive from the family’s summer house. 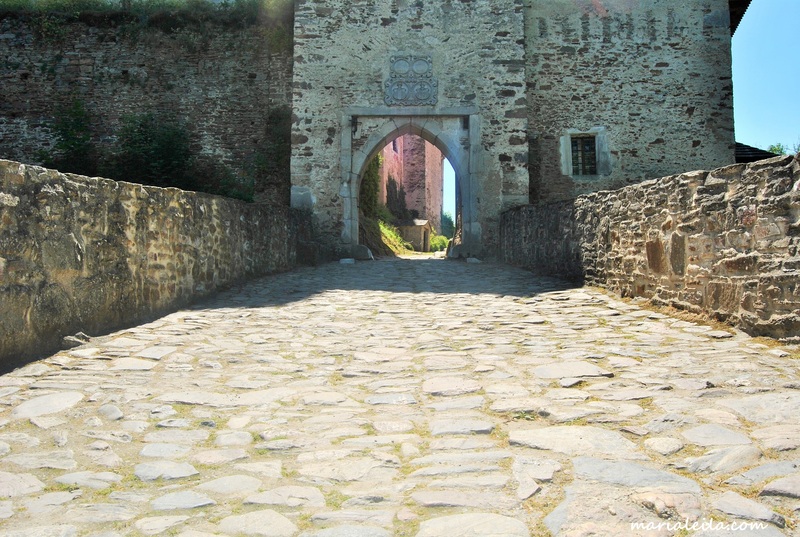 This used to be my favorite castle in the whole Czech Republic because of the 14th century feels it gives the moment you enter the first arch leading to the castle grounds. It’s annoying how management monetizes it by imposing an admission fee to the castle grounds or how putting a modern parking area at the bottom erases the rustic and untouched by time feels that appealed to me in the first place. Then again, my reason for scratching this castle from my top list has nothing to do with the castle itself. It’s still beautiful and still has the looks to take you back in time. I just don’t get the point of fixing things that aren’t broken. 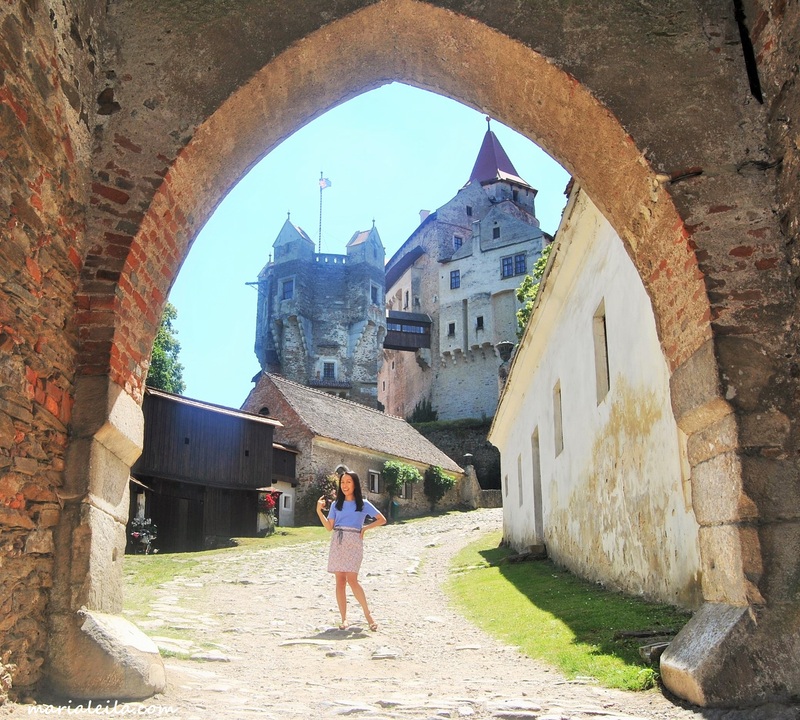 Gallery | This entry was posted in Czech Republic, Free Patterns, Sew, Skirts, Travel and tagged alyson skirt, czech castles, DIY, free pattern, Road trips, sewing, travels. Bookmark the permalink. Love Spit Up and Stilettos! This skirt is great, such a pretty print! The ribbon is a great addition! And that castle is gorgeous, maybe they need the admission fee for the upkeep costs? I hate when beautiful places become modernized, but you are lucky to be so close to such an amazing atmosphere! Thanks for the link 🙂 very cute skirt I love the colors, very soft and dreamy with the ribbon. And what an awesome backdrop for the photos! 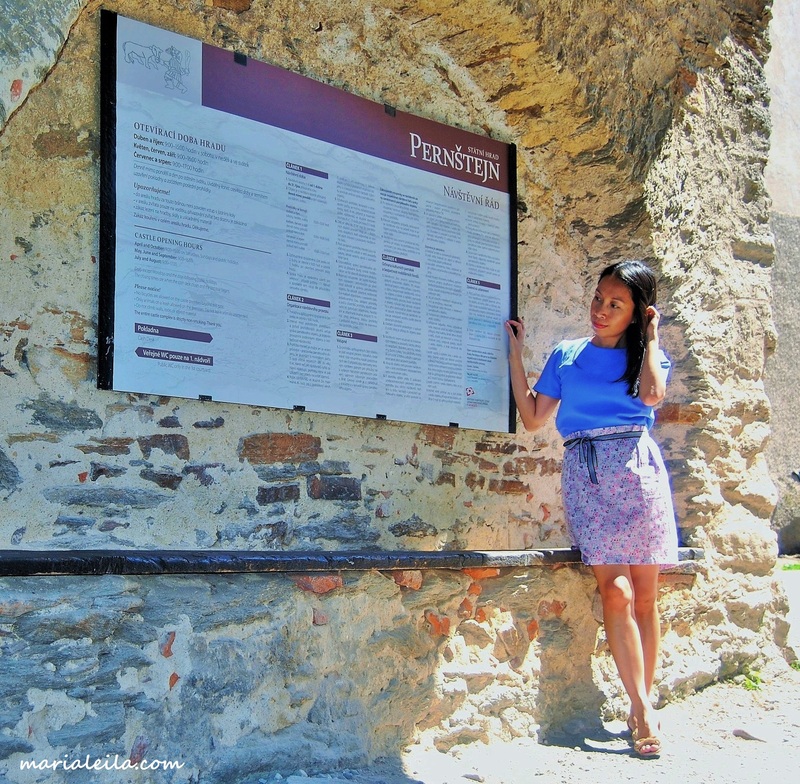 Love your travel related posts. Can’t wait to see what you do with the other patterns, I still haven’t started on any yet! 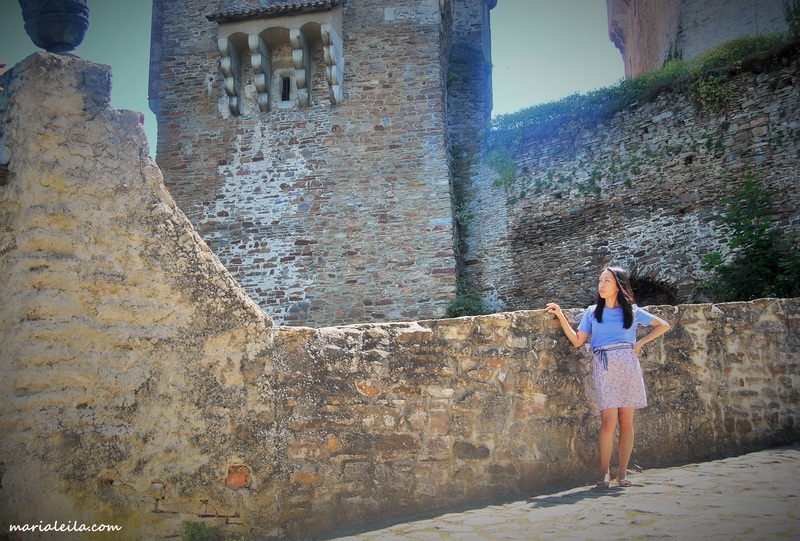 I love the skirt, and thank you for sharing pictures of the castle. Aren’t free patterns just the best?